Welcome back to Constellation Friday! Today, in honor of the late and great Tammy Plotner, we will be dealing with that famous lizard that specializes at blending in – the Chamaeleon constellation! In the 2nd century CE, Greek-Egyptian astronomer Claudius Ptolemaeus (aka. Ptolemy) compiled a list of all the then-known 48 constellations. This treatise, known as the Almagest, would be used by medieval European and Islamic scholars for over a thousand years to come, effectively becoming astrological and astronomical canon until the early Modern Age. In time, this list would come to be expanded as astronomers became aware of more asterisms in the night sky. One of these is Chamaeleon, a small constellation located in the southern sky that was first defined in the 16th century. This constellation was appropriately named, given its ability to blend into the background! Today, it is one of the 88 constellations recognized by the IAU. Since Chamaeleon was unknown to the ancient Greeks and Romans, it has no mythology associated with it, but it’s not hard to understand how it came about its fanciful name. As exploration of the southern hemisphere began, what biological wonders were discovered! Can you imagine how odd a creature that could change its skin color to match its surroundings would be to someone who wasn’t familiar with lizards? Small wonder that a constellation that blended right in with the background stars could be considered a “chamaeleon” or that it might be pictured sticking its long tongue out to capture its insectile constellation neighbor – Musca the “fly”! Chamaeleon was one of twelve constellations created by Pieter Dirkszoon Keyser and Frederick de Houtman between 1595 and 1597. Both were Dutch navigators and early astronomical explorers who made attempts to chart southern hemisphere skies. Their work was added to Johann Bayer’s “Uranometeria” catalog in 1603, where Chamaeleon was first introduced as one of the 12 new southern constellations and its stars given Bayer designations. To this day, Chamaeleon remain as one of the 88 modern constellations recognized by the IAU and it is bordered by Musca, Carina, Volans, Mensa, Octans and Apus. It contains only 3 main stars, the brightest of which is 4th magnitude Alpha – but it also has 16 Bayer/Flamsteed designated stars within its boundaries. The Chamaeleon constellation is home to several notable stars. These include Alpha Chamaeleontis, a spectral type F5III star located approximately 63.5 light years from Earth. Beta Chamaeleontis is a main sequence star that is approximately 270 light years distant. This star is the third brightest in the constellation, after Alpha and Gamma Chamaeleontis. And then there’s HD 63454, a K-type main sequence star located approximately 116.7 light years away. It lies near the south celestial pole and is slightly cooler and less luminous than the Sun. 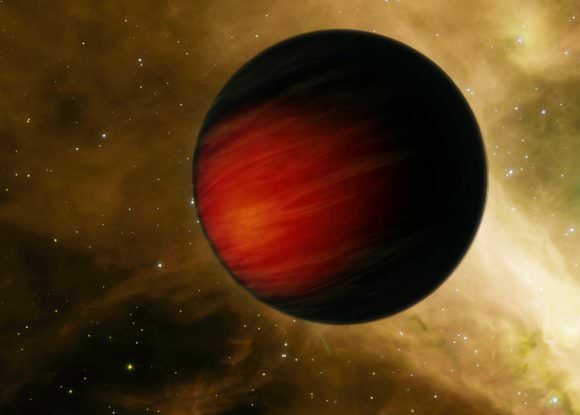 In February of 2005, a hot Jupiter-like planet (HD 63454 b) was discovered orbiting the star. The “Chamaeleon” also disguises itself with a huge number of dark molecular clouds that are often referred to as the “Chamaeleon Cloud Complex”. Situation about 15 degrees below the galactic plane, it is accepted is one of the closest low mass star forming regions to the Sun with a distance of about 400 to 600 light years. Within these clouds are pre-main sequence star candidates, and low-mass T Tauri stars. The southern region of the Chamaeleon Cloud is a complex pattern of dark knots connected by elongated, dark, wavy filaments, with a serpentine-like shape. Bright rims with finger-like extensions are apparent, and a web of very faint, extremely thin but very long and straight shining filaments. These feeble structures, reflecting stellar light, extend over the entire Chamaeleon complex and are considered very young – not yet capable of the type of collapse needed to introduce major star formation. Thanks to Gemini Near Infrared Spectrograph (GNIRS) on Gemini South Telescope, a very faint infrared object confirmed – a very low-mass, newborn brown dwarf star and the lowest mass brown dwarf star found to date in the Chamaeleon I cloud complex. Chamaeleon is also home to the Eta Chamaeleontis Cluster (aka. Mamajek 1). This open star cluster, which is centered on the star Eta Chamaeleontis, is approximately 316 light years distant and believed to be around eight million years old. The cluster was discovered in 1999 and consists of 12 or so relatively young stars. It was also the first open cluster discovered because of its X-ray emissions its member stars emit. Chamaeleon is visible at latitudes between +0° and -90° and is best seen at culmination during the month of April. Now take out your telescope and aim it towards Eta for a look at newly discovered galactic star cluster – the Eta Chamaeleontis cluster – Mamajek 1. In 1999, a cluster of young, X-ray-emitting stars was found in the vicinity of eta Chamaeleontis from a deep ROSAT high-resolution imager observation. They are believed to be pre-main-sequence weak-lined T Tauri stars, with an age of up to 12 million years old. The cluster itself is far from any significant molecular cloud and thus it has mysterious origins – not sharing proper motions with other young stars in the Chamaeleon region. There’s every possibility it could be a moving star cluster that’s a part of the Scorpius/Centaurus OB star association! For binoculars, take a look at fourth magnitude Alpha Chamaeleontis. It is a rare class F white giant star that is about 63.5 light years from Earth. It is estimated to be about 1.5 billion years old. Its spectrum shows it to be a older giant with a dead helium core, yet its luminosity and temperature show it to be a younger dwarf. Now point your binoculars or telescope towards Delta Chamaeleontis. While these two stars aren’t physically connect to one another, the visual double star is exceptionally pleasing with one orange component and one blue. For more information, check out the IAUs list of Constellations, and the Students for the Exploration and Development of Space page on Canes Venatici and Constellation Families.